Start by adding the DataListPanel to your mashup. Select Data Service “WS” and press the configure button. Select the operation you would like to run and save. Add a search field and hook up the events. The final result is a list with columns that bind to the data returned from the Web Service. Use the tool://wstest or the configuration tool in the Designer to investigate what kind of data is returned. I took some time to ficure out what parameters had to be sent to do a simple we search with this web service. There are lots of different ways that you can search. The ui namespace is defined as: xmlns:ui=”clr-namespace:Mango.UI.Controls;assembly=Mango.UI”. 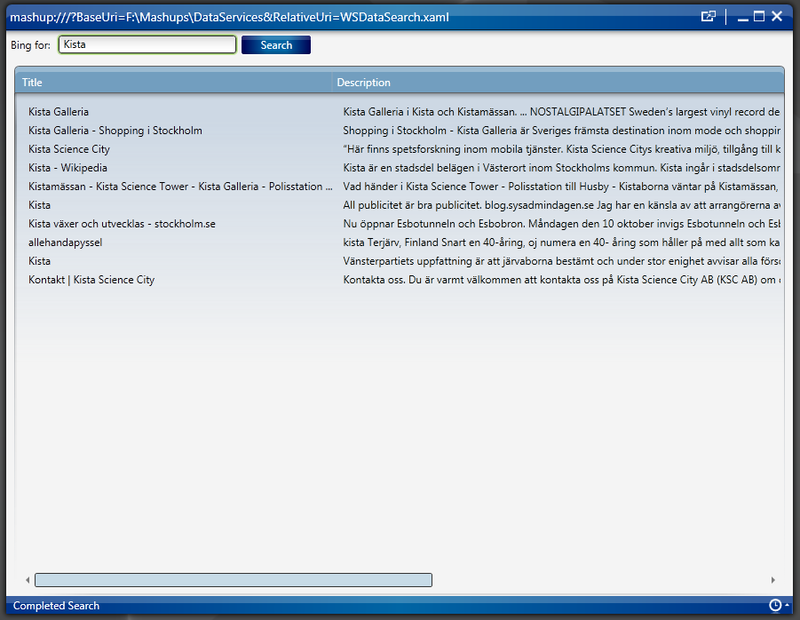 TaskHyperlink is useful when you whant to have links that launch other applications, such as mforms, mashups or web content. Here is the complete XAML, just remeber to put in your ApplicationID. Now, I would probably not have this result in a columned view like this but in a nice list. 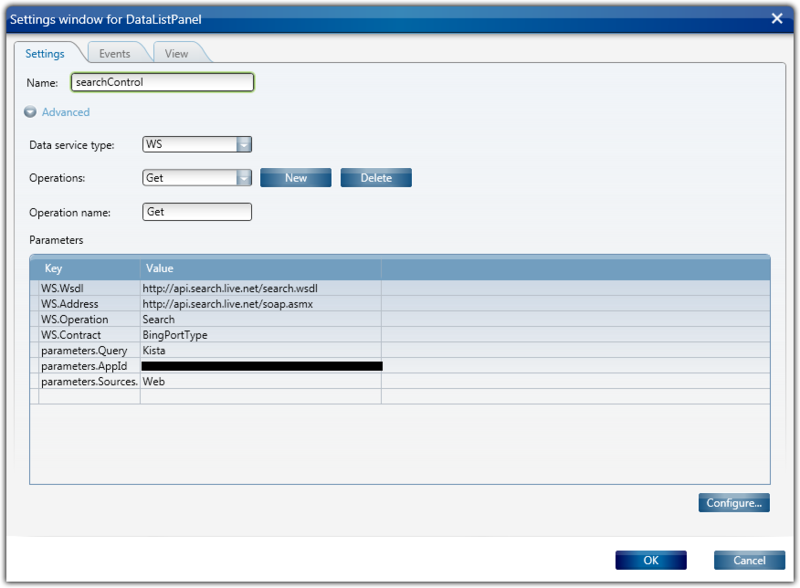 Target screen to display data by SQL query with DataListPanel. I will select a customer from the Source screen and I expect the data to be presented on Target screen in a direct continuation from Source screen. From Mashup Designer I want to know how to set up parameters so that a specific operation can be performed when we use Web Service in a Mashup. I succeed to run the Web Service in a Mashup but fails to define specific parameters on Mashup Designer. Are you using a template as SOAP input or passing parameters to the DataListPanel? Is the event for current item changed configured on the source panel? Do you see the expected source value when turning on the debug window? 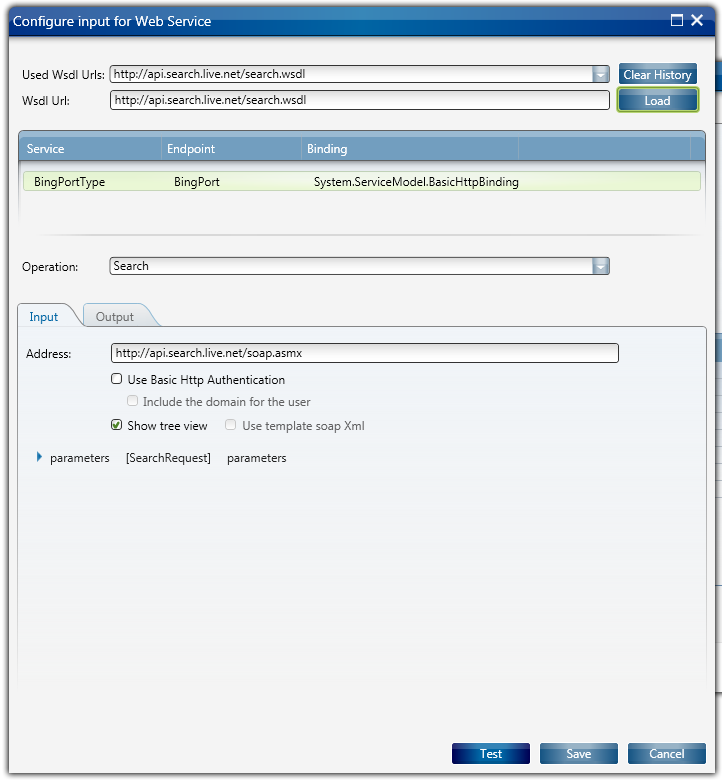 Have you viewed the post here: https://smartofficeblog.com/2012/01/05/calling-a-web-service-using-ws-and-rest-data-services/. Generally it is impossible to give development support via the blog when it comes to calling web services as they could look very different. Use the toos://wstest and check the input parameter names and configure those in the event that will trigger the target call to list the data? If there is no call at all (eg not error) the event from source to target is not triggered and you need to check that.